Even though the General Data Protection Regulation will not be implemented until May 2018, businesses still have a lot to do before it comes into effect. A key question is whether it's possible for businesses to simultaneously comply with the regulation while ensuring they are maximizing the value of the data they have collected. "What’s been realized is this convenience of data processing came with a cost of the fundamental rights of data subjects. 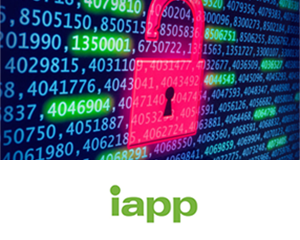 If viewed in the right light, the GDPR provides an answer to that," said Anonos CEO Gary LaFever during a recent IAPP web conference. "Data protection by default enables us to respect, honor and protect the fundamental rights of data subjects, while actually opening up new business opportunities." So how can businesses conduct their data processing in compliant, but innovative, ways? LaFever said people are realizing while they can comply with the GDPR, it does not mean they can continue to do business in the same way from an analytics perspective. Joined by Hintze Law's and former Mircosoft Chief Privacy Counsel and Assistant General Counsel Mike Hintze, CIPM, CIPP/C, CIPP/E, CIPP/G, CIPP/US, CIPT, FIP, and CNIL Director of Technology and Innovation Gwendal Le Grand, LaFever said the reason for the shift stems from a GDPR requirement to move toward data protection by default, a much more stringent form of privacy by design. LaFever argued companies also focus too much on the identity of the data subject. "When you have an app on your phone that’s a map app and you launch it, why does the provider of that map app have to know who you are? They don’t," said LaFever. "They have a legitimate reason to if you are registered for the service, that doesn’t require knowing who you are. They have a very important need to know where you are, and where you want to go. You can just as easily service users of the map app without finding out who they are, and a different identifier can be set every time." Anonymization, pseudonymization and de-identification are all effective techniques companies can use to comply with the GDPR, said Hintze. When comparing it to the 1995 Directive, the GDPR offers more nuance to the definition of personal data. "I think that’s very important and a positive step forward," he said. "Under the 1995 Directive, it was almost sort of a binary, all or nothing, either it’s personal data or anonymous data. Under the GDPR, there are different gradations between those two that are recognized," he noted. "One thing that is important to look at is the definition of personal data, and that definition includes the concept of identified-versus-identifiable data. Data that is identified is able to be identified on its face, or there are some easy mechanisms to identify who that person is. Identifiable data is a much bigger bucket, where it may not be apparent on its face, but there is at least a theoretical way to re-identify the person behind that data." Le Grand added, "Anonymization is the key trigger for big data, because in the context of the GDPR ... the rules on personal data protection do not apply to anonymous data, which means anonymization is an alternative to data erasure once the purpose of the processing has been fulfilled." The GDPR will certainly challenge many traditional approaches to privacy. In fact, older approaches may cause more harm than good, said LaFever. "Unfortunately, many privacy-enhancement techniques actually reduce the value of data, whether its k-anonymity, l-diversity or differential privacy. The way they go about protecting privacy is reducing the level of accuracy. There are other ways to protect privacy where you can still leverage privacy-enhancing techniques, but in a way that maximizes that value," said LaFever. "You end up with data protection by default, which actually allows you to retain up to 100 percent of the value, at the same time, you improve security and privacy, and it’s supports greater use and sharing of data." The changes brought upon by the GDPR may cause frustration, but Hintze said complying with the regulation is not impossible. "There have been a number of things that have been called out in the GDPR that will be required, and that includes appointing new personnel, ensuring your internal policies and external privacy statements are updated to meet the new requirements, developing new employee training, developing new, or updating existing procedures, practices, tools and technologies based on your own internal gap analysis of where you are now and where you need to get to ensure you are in a position to comply," said Hintze. The GDPR is a strong harmonization tool for the EU, Le Grand pointed out, and will be assimilated into the laws of the member states easily. Much of the data processing businesses are doing now will need to change. LaFever said companies cannot continue what they have been doing and expect to comply with the GDPR, but with new resources and techniques out there, companies have the potential to ensure they are ready to go by May 2018.